🙂 Now you have an improvised headband. Pretty easy right? 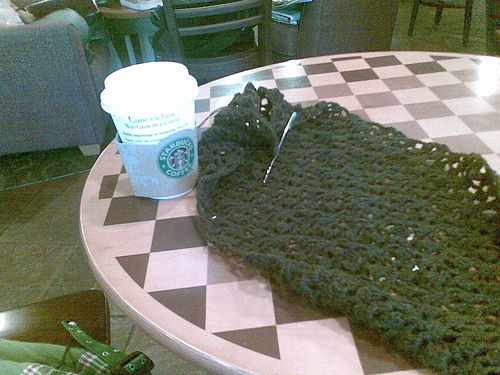 Ahh.. when I have so many things I still have to do and the deadline is just around the corner, I cannot survive without a cup of coffee..
And a crochet hook to make me happy. 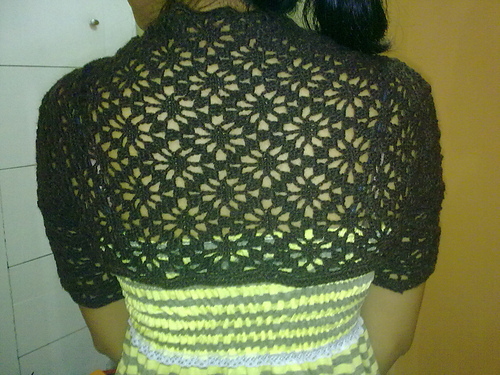 I first met Ms. Rini, one of the owners of http://www.craftandme.com, where else? at Multiply! She was selling yarns on her multiply site and i contacted her. Hers are the cheapest yarns I’d ever seen online. When I shared this to my friends, one of them volunteered to buy me from their shop. I used this yarn as border for my ‘little red riding hood’ project. Everybody loves special and if it’s a special yarn, it’d be super!! !